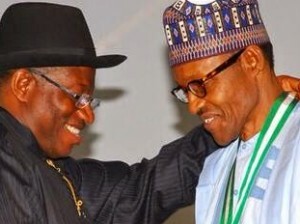 President Muhammadu Buhari said on Thursday night that he went temporarily into coma when former President Goodluck Jonathan called to congratulate him on his victory in the 2015 presidential election. “The truth is after being a deputy governor, a governor, Vice-president and President for six years, and he took that decision is great. He could have caused some problems. He had stayed long enough to cause problems. He said: “I am the only politician that ended up three times in the Supreme Court and still virtually refused to give up. “There is one thing that disabused my mind in a dispassionate way about ethnicity and religion across the country. You know that tribunal for presidential election started at High Court of Appeal. The President was my classmate. I missed only four of the court sittings. “For that first phase in 2003, we were in court for 30 months. My legal leader was Chief Ahamba (SAN), an Igbo man. He asked the panel of judges to direct INEC to produce the voters register to prove to you that the election was done underground. “I went to the Supreme Court. Who was the Chief Justice? An Hausa Fulani, a Muslim from Zaria. After 27 months, Ahamba presented our case for two hours and 45 minutes. The Chief Justice got up and said they were going on break and when they return the following day, they will deliver the judgment. They went away for three months. That was what made it 30 months. “And when they came back, they discussed my case within 45 minutes. In 2007, who was the Chief Justice? A Muslim from Niger State. “Voters’ education is important. Let people be educated that it is their right to choose leaders of their choice. “There is something that hit me very hard and I am happy I hit it back at somebody. Seven states of the North are only represented in my cabinet by junior ministers, ministers of state. In South East, I got 198,000 votes but I have four substantive ministers and seven junior ministers from there. “You are closer to the people than myself, now that I have been locked up here, don’t allow anybody to talk of ethnicity. It is not true. “I felt I should invite you and eat together and to tell you that as I am sitting here, I am very much aware of the problems in this country and that I will always reflect on the historical antecedents before I arrived here. “I decided to drop the uniform and come back. Eventually, I am here. So really, I have gone through it over and over again. This is why I am not in a hurry virtually to do anything. I will sit and reflect and continue with my clear conscience. The APC National Chairman, John Odigie-Oyegun, said “I was very touched by what you said. I hope it is understood in the proper perspective. “There are so much misconceptions. Look at the example you have given that those who stood by you through the periods of problems and struggles are not people of the same religious persuasion.